If you’re like me, come mid-November you are wandering aimlessly around TJ Maxx and Macy’s looking for gifts, only to find stuff for yourself. Happens. Every. Time. So I’m here to save you from buying pumpkin spiced body lotion, candles and whatever other good-for-anyone-gift and get the dog lover on your list something that they’ll love. And use. I’ve spent a lot of time finding companies and products that are making a difference in their communities, have awesome products, and that I love. I think you will, too. Enjoy! 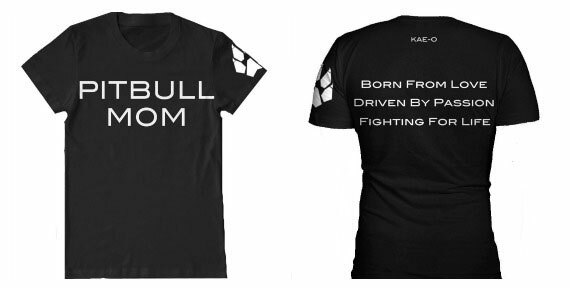 KAE-O is fighting against the abuse and abandonment of pit bulls by donating 25% of its proceeds to their current non profit partner (currently Karma Rescue in California). If their mission isn’t enough to persuade you, their amazingly comfy and stylish clothing will. Because we’ve all bought that Gildan cardboard t-shirt that while yes, a portion of the proceeds went to a good cause, is never going to be worn. Not with their clothes! The ‘Save a Life’ hoodie I’m wearing in the photo is seriously my favorite sweatshirt, hands down. 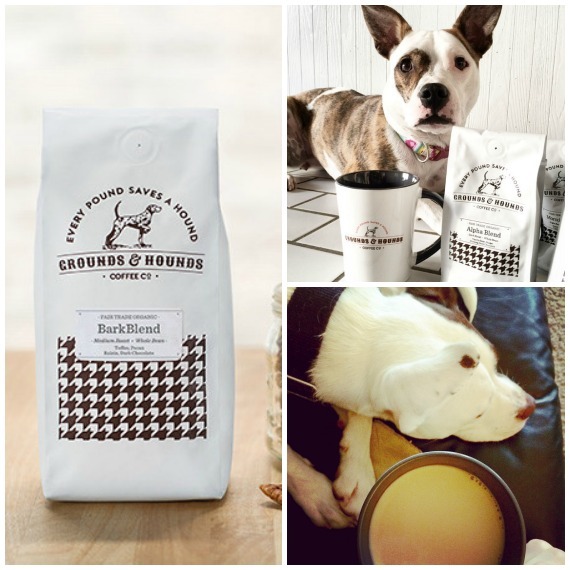 Grounds & Hounds Coffee Co. was started by Jordan Karcher, who just so happens to be a rescue dog owner himself. The company was born out of his passion to give back to the animals by offering delicious coffee – two of the most important things in my life! Fair trade, organic coffee company where 20% of all revenue received is donated to rescue groups. Pretty awesome. And coming from a coffee snob, I’m confident in saying that you’ll love their coffee. Even Lola and Rio approve. 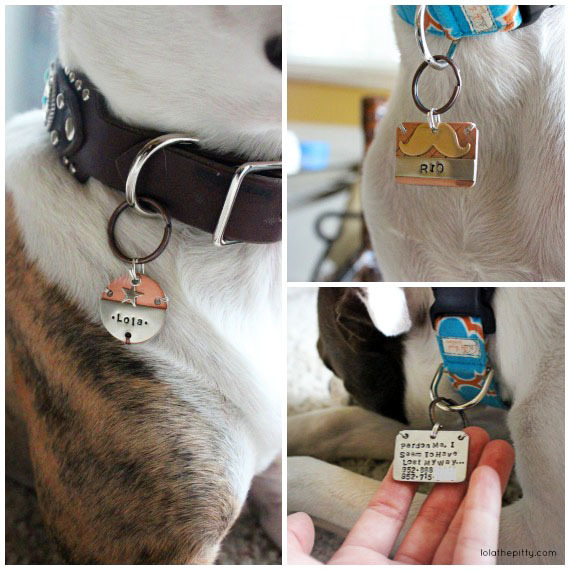 I’ve been swooning over these dog tags for quite a while after finding them on Etsy. 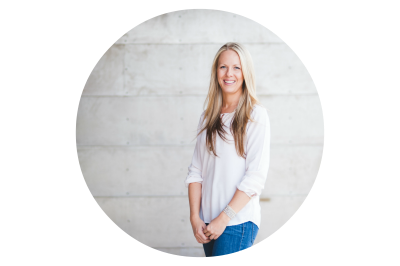 And after getting to know owner and founder, Melissa, I knew it was a company I’d proudly stand behind. 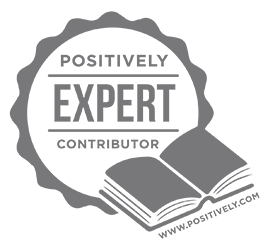 Their customer service is top-notch, their designs are amazing, and they are very reasonably priced! Check out the full line of unique, artisan, pet oriented id tags & accessories from Woo Woo Workshop! And trust me, we have definitely heard our fair share of the “woo woo” song! 4. Great books for dog lovers! If you haven’t read the story of Wallace the pit bull you’re missing out. This book will have you laughing, tearing up, and cheering Wallace on in every chapter. Pit bull advocates and dog lovers alike will enjoy this amazing true story of an underdog who rose to the top, becoming one of the most influential pit bulls in history! *For a $25 donation to Wallace the Pit Bull Foundation, you will receive a Wallace book, pawtographed with Wallace’s paw stamp! Each book is hand stamped from an image of Wallace’s actual paw print taken on the day he passed. Purchase on WallaceThePitBull.com! If there’s anyone that has a magnificent way with words it’s Ken Foster, author of I’m a Good Dog. His insight, intelligence and stories will move you beyond words. Fellow pit bull lovers, this book is a true gift; one that should be given and received. *Purchase I’m a Good Dog by Ken Foster through Amazon.com. Subscription boxes just might be taking over the world and for good reason: they are a darn good idea. I mean, who doesn’t like to get packages in the mail? I feel like a giddy nine year old waiting for a package to come – so knowing that something for my dogs would be coming every month (and what’s inside is a surprise! ), is a perfect gift. 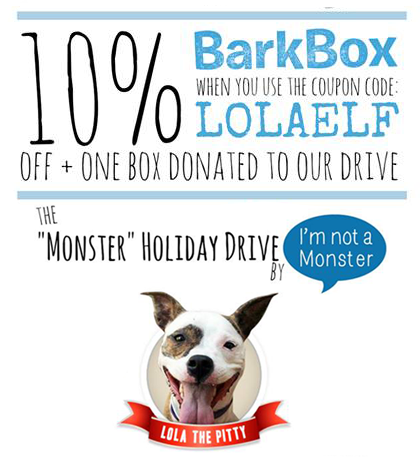 I personally recommend BarkBox – they are a great company who believes in giving back (they’re a sponsor for the Monster Holiday Drive we are participating in and will donate one box to our drive for every subscription)! This box is guaranteed to brighten you and your dog’s day when it arrives at your doorstep each month! 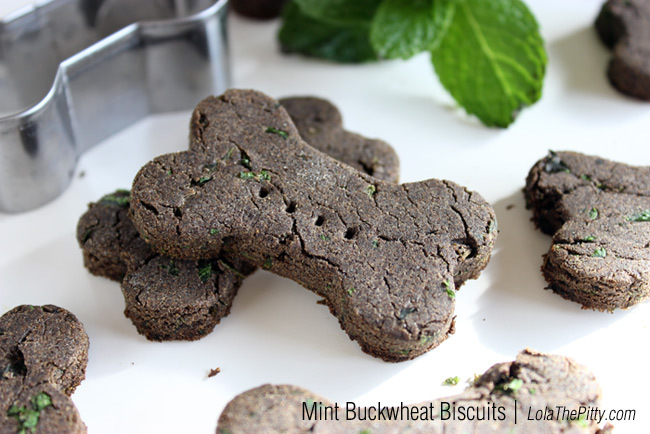 These aren’t your average bag of dog treats, people; these are more like the filet mignon of dog treats. I’m kind of picky about what goes in our dogs mouths if you haven’t already noticed. And there’s no doubt that they eat cleaner and healthier than I do. 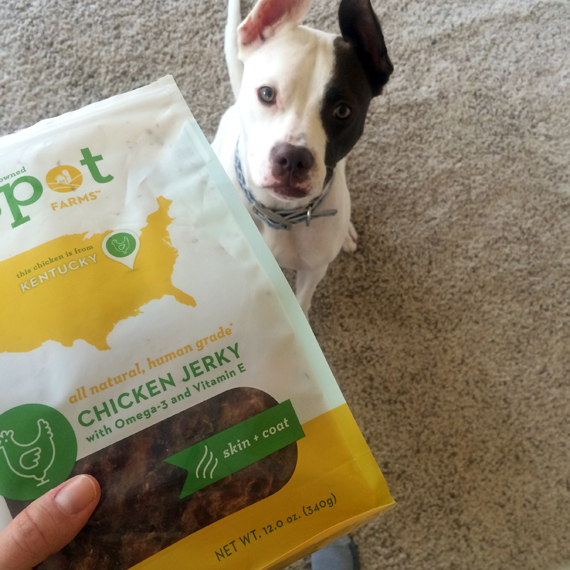 Check out our review of Spot Farms treats from earlier in 2014! 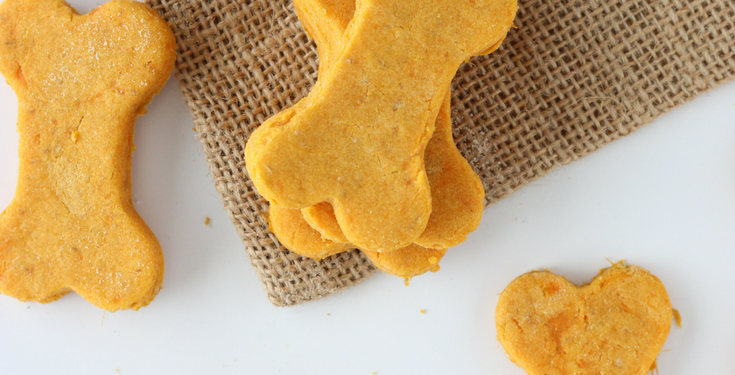 We love that Spot Farms offers human grade treats made using the very best antibiotic-free meats from farm families across the U.S. You won’t find any fillers such as corn, wheat or soy in their treats! 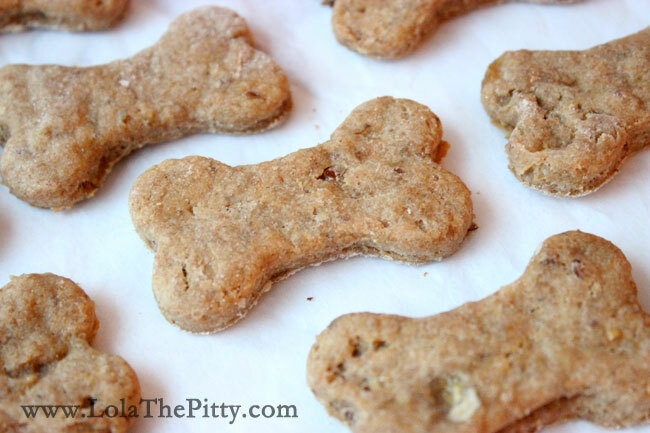 Find Spot Farms dog treats at Petco, Wag.com and too many other places to list, ha. Check out their site for the deets. Just a few of our favorite toys that I know your pups will love! And the monkey hoodie – totally adorable!!! a. Jolly Ball – ever since we found this toy, we can’t keep Lola or Rio away from it! b. Kong Wobbler Food and Treat Dispensing Dog Toy – entertainment galore. 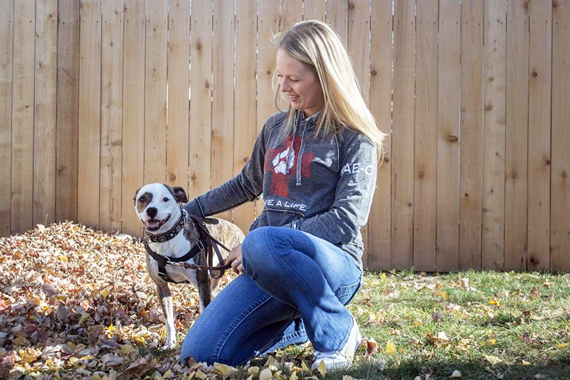 c. Monkey Hoodie by Chilly Dog – the ears on this hoodie make it over-the-top cute! d. Chuck-It. a.k.a. your best friend if your dog obsesses over tennis balls as ours do. There ya have it, we hope you love these ideas as much as we do! 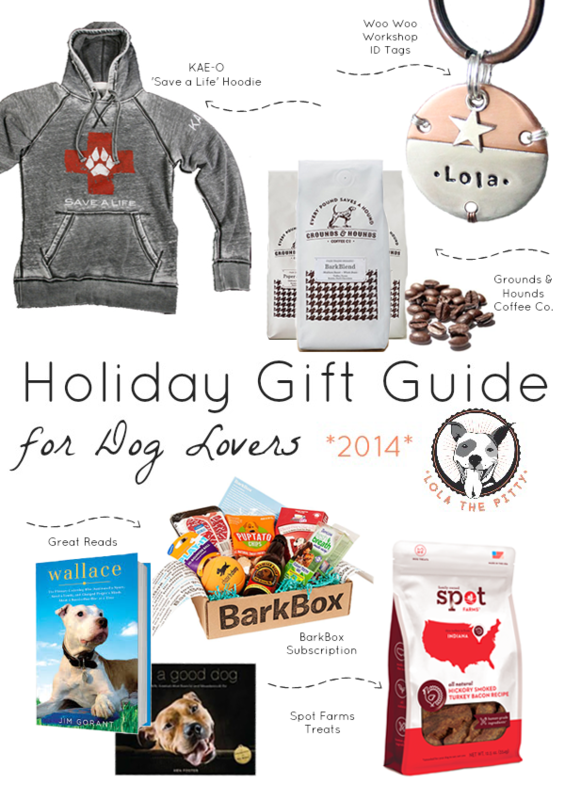 Keep your eyes peeled for a pit bull lovers’ specific gift guide, as I’ve got plenty of ideas up my sleeve. Great gift guide! Have to say that I highly recommend the Jolly Ball. It is, paws down, my 3 dogs favorite toy! I totally love companies that give back to the community! Thank you so much for sharing the awesome ones you’ve found. However, my favorite gift listed here has to be the “Wallace” book. Haha, umm yes! 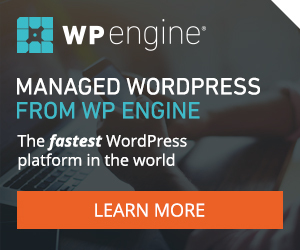 Dummy me – that should definitely be included! This gift guide is gorgeous. I’m thinking of doing something similar but for Aussies. I love that you included pet subscription box. LOL. I wrote about that recently on my blog. Thank you so much, Amy! Olly’s Box is cute – I love the idea of pet subscription boxes ;). Lots of great gift ideas here! Thanks for sharing!